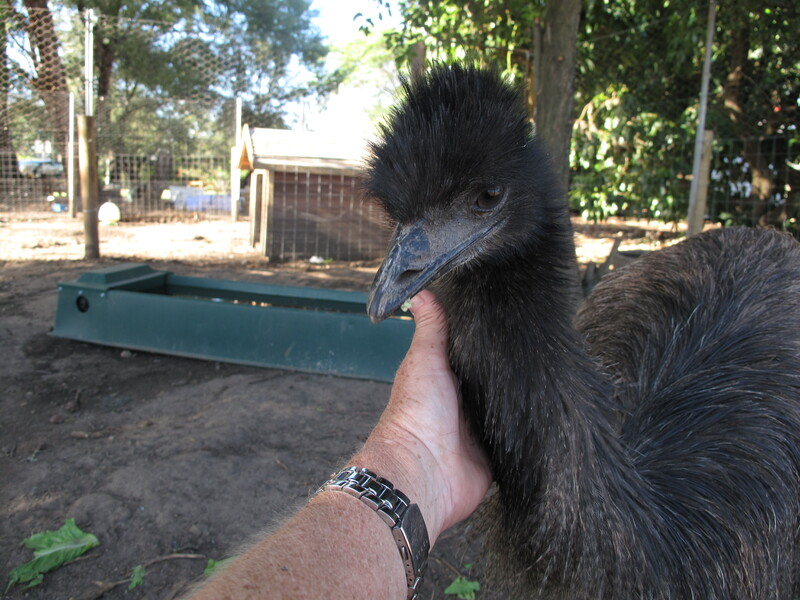 Our four emus are identical in every way. So I guess I was wise in giving them all the same name – Emery – which they all respond to. They are becoming more and more ‘at home’ here and, over the last week, I have been letting them free-range for longer and longer and, so far, they have not wandered too far. Also, it is easier now to get them back into their yard for the night. I have a little camp chair in there so, once they’re in, I usually sit and watch them eat their cabbage and lettuce (the afternoon treat) before leaving them to it. 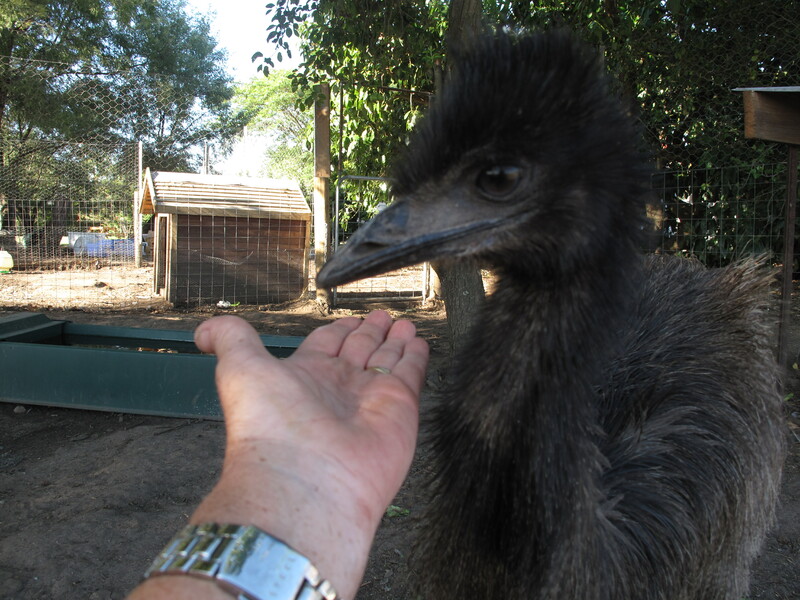 As you can see below, they are very tame and, even though they like shiny things (I will have to stop wearing my watch out there because it always gets pecked!) they are never aggressive. I adore them. Oh-oh! They’ve disappeared, so we are now going to a commercial break……….. Okay, it is now several hours since I began this post. 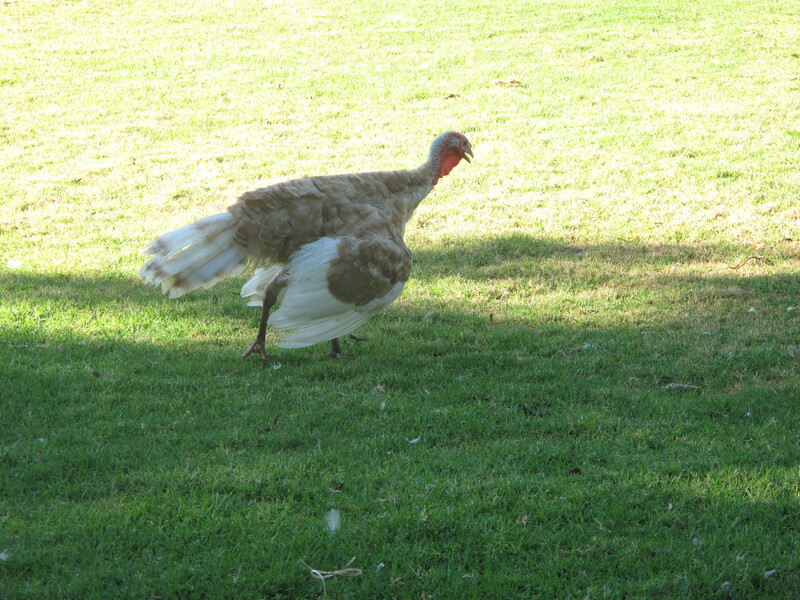 Son and I had arrived home from Perth and immediately let the Emerys out and, for an hour or so, they contented themselves with eating grass outside my office and around the house and then – GONE! Son (in incredible good humour – not) scouted around the house block on his motorbike without any luck and eventually found them on the road, going east. Long story short: they are back in their yard and I will never, ever leave them unsupervised again! In an attempt to de-crease Son’s dramatic frown, I reminded him of his toddler days when he, too, would wander off to explore the boundaries and beyond. 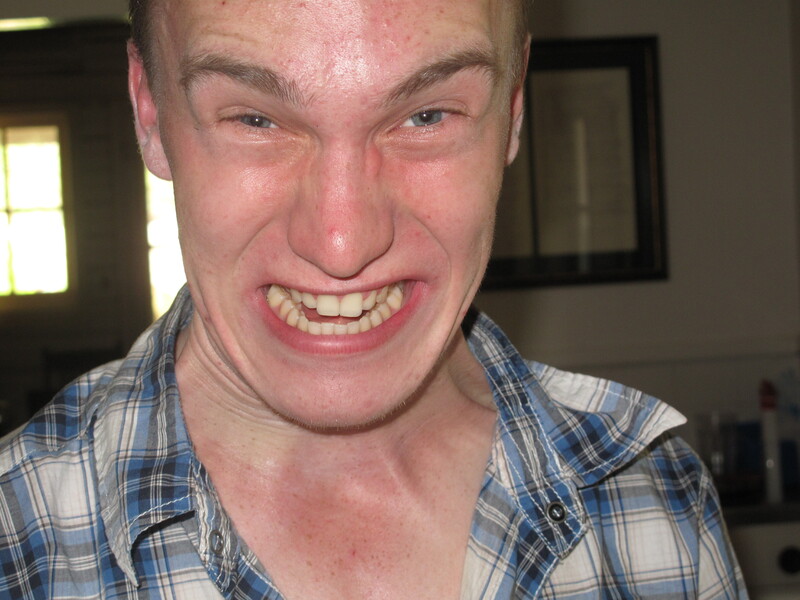 Unfortunately, my anecdotes didn’t trigger his usual lovely smile although he did try. I’m just glad I didn’t have quadruplets! Today was the deadline for us (Husband, Son and me) to ‘sign’ our agreement with the nursing lodge, to ensure that the room Husband is in for respite, is, as of tomorrow, permanently his room. This has now been done. The only way I could cope with this was to keep reiterating to Husband that he could come home any time and that Son and I would enable this and that we would not abandon him. Husband was home here for much of the day before we had to go back and sign the forms. There was a lot of talking, a lot of silence and a lot of withheld sobbing, but we got through and I took him back to the nursing lodge. I just rang Husband and he is okay – sort of. 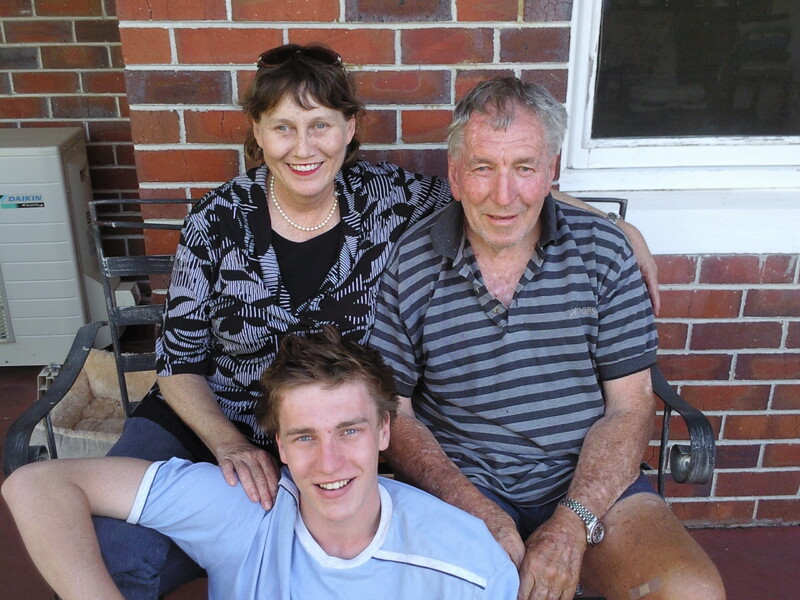 Tomorrow, Son and I go to Perth for 4 hours of pre-op. appointments before his scoliosis surgery on 14 Feb. Son can’t wait for his surgery so he can be straight again. It’s all pretty weird timing I guess – good in some ways, not-so-good in other ways! This blog was initially a bird blog, with a bit of humour added. I didn’t know, when I began the blog, that the above crap was situations were going to transpire so fast, so, for the birding followers, I apologise for these diversions. Husband has always been my best friend. He is my best friend. Son comes a close second. I am still gobsmacked by our ‘changelings’. 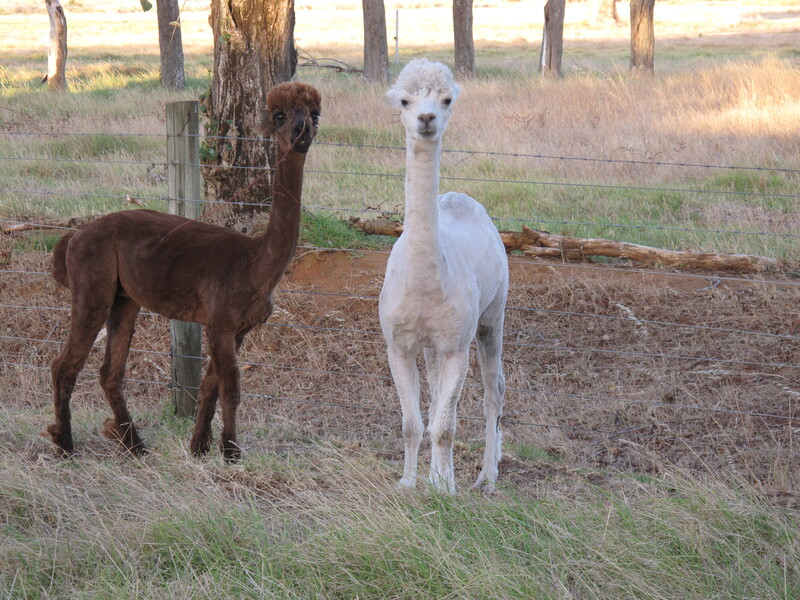 You see, we weren’t home yesterday when the Alpacas, Okami and Uluru, were shorn. So, because we weren’t there to see it happen, it was even more of a ‘before-and-after’ shock. Many of our birds also seem amazed. 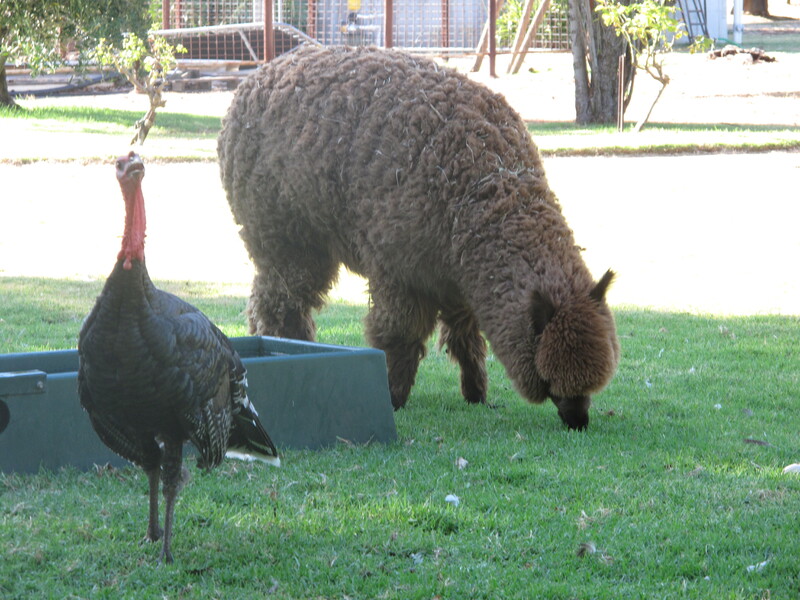 Angelina’s hair stood on end when Okami and Uluru approached the food bin to munch out on wheat – and, previous to the shearing, I thought they were a bit fat! I’m about to go and buy some more food for them! The following photo was taken on the day we purchased the little fellows so how was I supposed to know what was underneath all of that wool??? 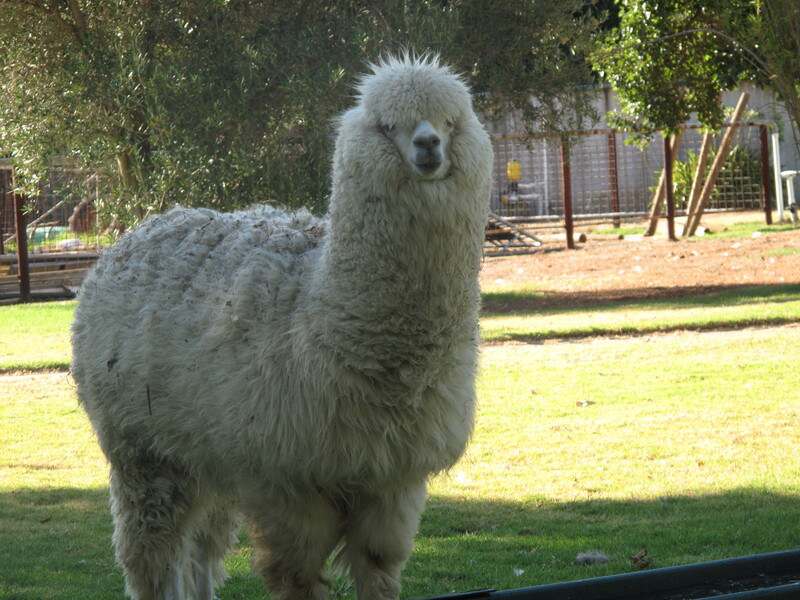 Oh yeah, we now have several bags of Alpaca wool if anyone is interested! There is enough here to carpet an entire continent – ha! To transmogrify (def. verb): to change in a radical sort of way. Think the Transformers series! 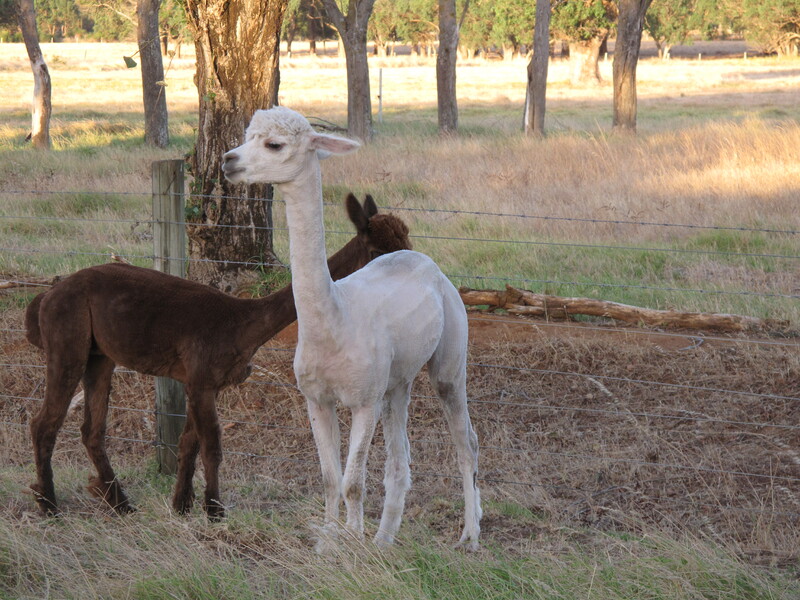 Okami and Uluru (our two Alpacas) were shorn today for the first time in their lives. 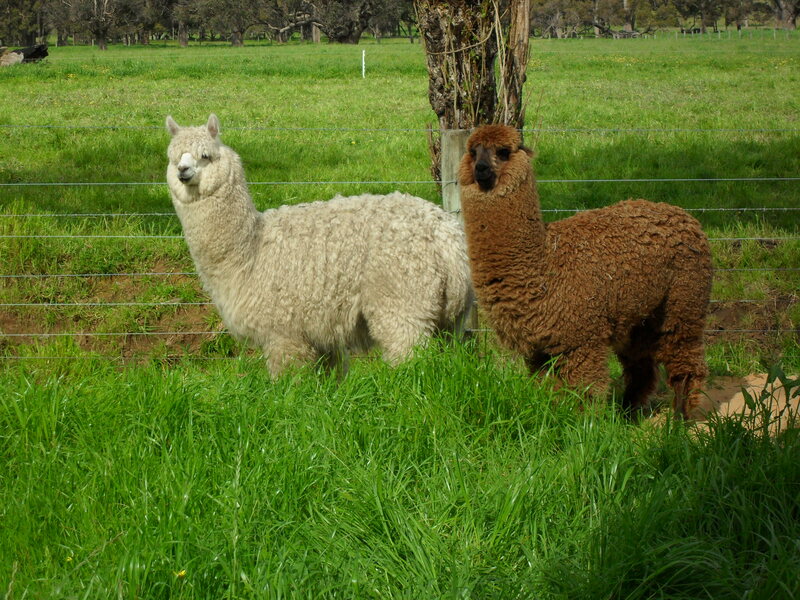 We bought them at a few months of age so, by now, they are both around a year old; Okami is little bit older than Uluru and they are half-brothers. This is what they look like now. Yes, it has been a bit of a shock to say the least! An amazing transmogrification – amazing! Son and I have been in hysterics whilst trying to adapt to this enormous change. I mean Uluru and Okami were relatively cute before but now – wow! – they are utterly cute – ha! The song above fits perfectly with the scenario below. 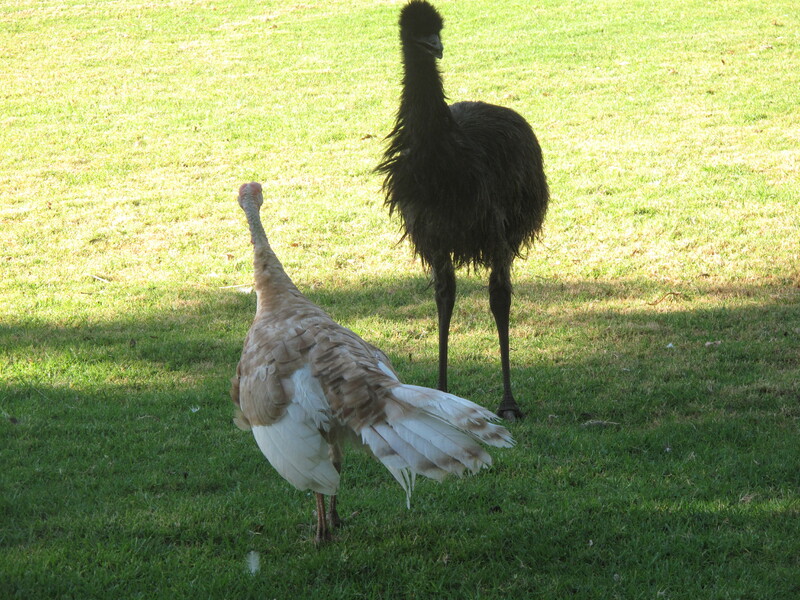 This is the malicious Baby Turkey approaching Emery, one of the sweet, innocent emus. 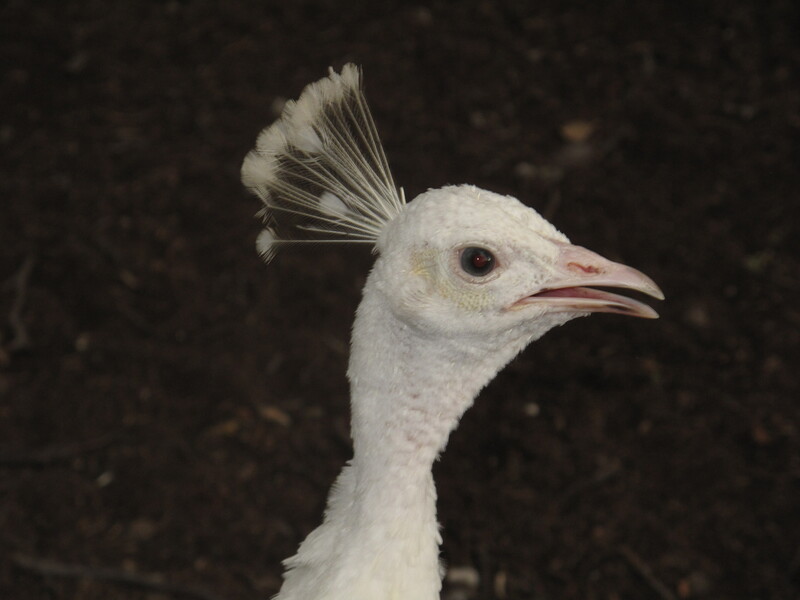 Baby Turkey’s wingdrop move is straight out of the WWE handbook. And this is the sweet, innocent Emery, singing ‘Can we still be friends’ to the malicious Baby Turkey – a very clever and effective tactic! 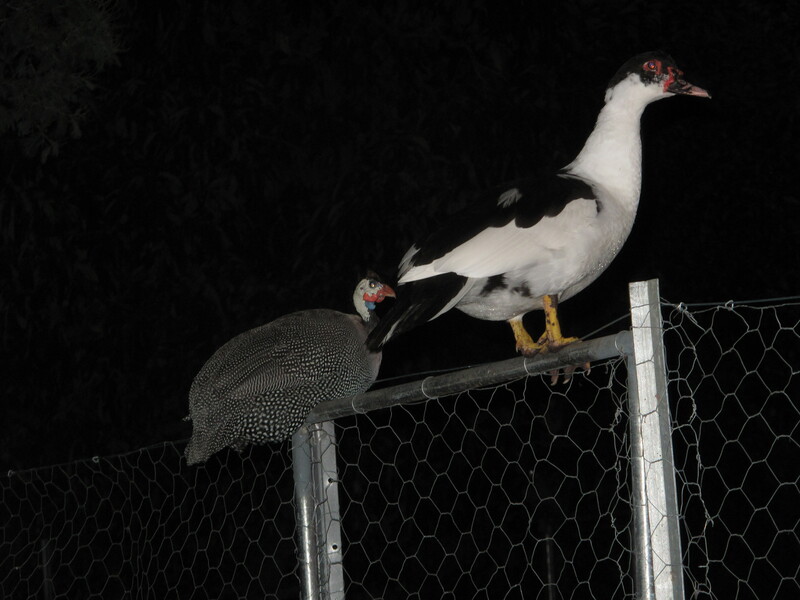 On the left is Guinnea (one of our many Guinnea fowl, all named ‘Guinnea’ for the sake of convenience), and on the right is Tapper (one of our two Muscovy ducks). Now, usually these two breeds don’t associate with each other. There’s no animosity; it’s more a matter of not having anything in common. So I thought it was quite sweet last night to see them perched together on top of one of the yards, sharing the view of the back paddock, with the sunset nuzzling a few clouds away, a gentle breeze whispering its way through the grass, a lullaby of raindrops … WAIT A MINUTE!!! The back paddock is where that rotten fox lurks. That’s what they’re watching. They must’ve seen him/her. And, because Guinnea and Tapper have the advantage over some of the gang in the sense that they can fly, I now realise that this is actually a photo of sentry duty and has nothing whatsoever to do with a view! I’ve found the ‘zoom’ function on my new camera! 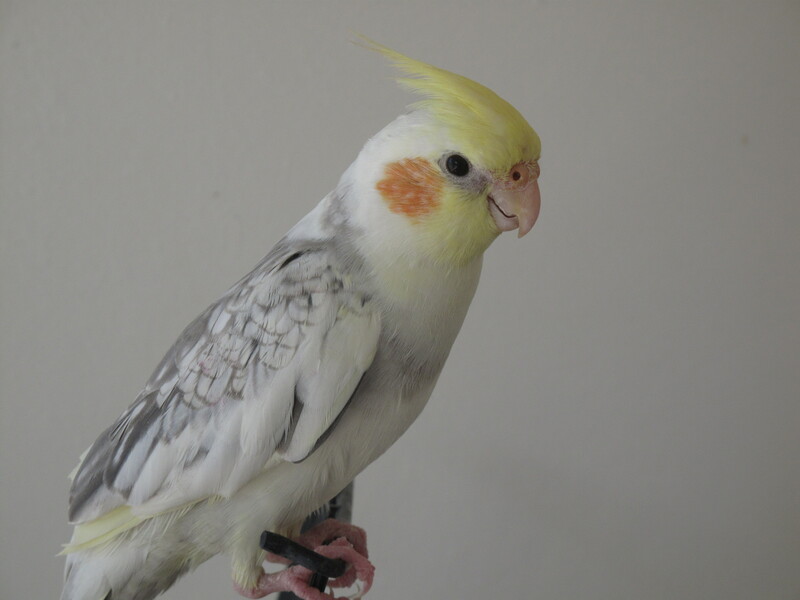 Husband named our weiro, ‘Buttons’ but Buttons doesn’t seem to be able to wrap his beak around this word, so I have decided to rename him ‘Zoomy’ because he does zoom around the veranda a lot and I think this is an easier word for him to mimic. And it’s appropriate because he doesn’t just fly gently onto my shoulder; he zooms at me, like an arrow, and usually collides BANG with my face, which he likes to nibble (maybe I should rename him ‘Cannibal’). Aren’t weiros supposed to talk? All Buttons/Zoomy/Cannibal seems to be able to emit is a very LOUD wolf whistle – you know, the kind of whistle that attractive women attract from unattractive men working on top of buildings. Well, not always – sometimes it’s a bit of a vice versa thing. Anyway Zoomy came to us, hand-reared, tame and wolf-whistley (I was not warned about the latter), so we have had to accept his flirtatiousness. 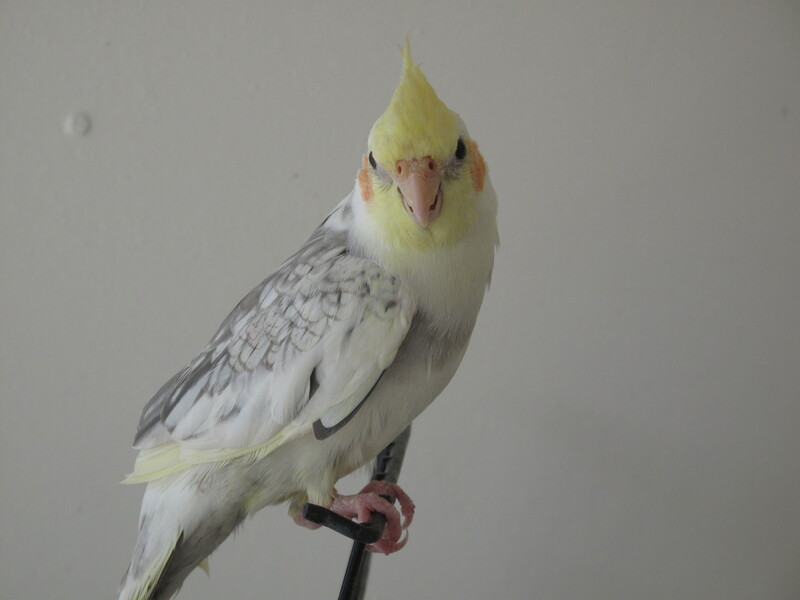 He even kisses me on the lips when I am not expecting it and, as bird kisses are rather sharp, this can be a little disconcerting, and painful. 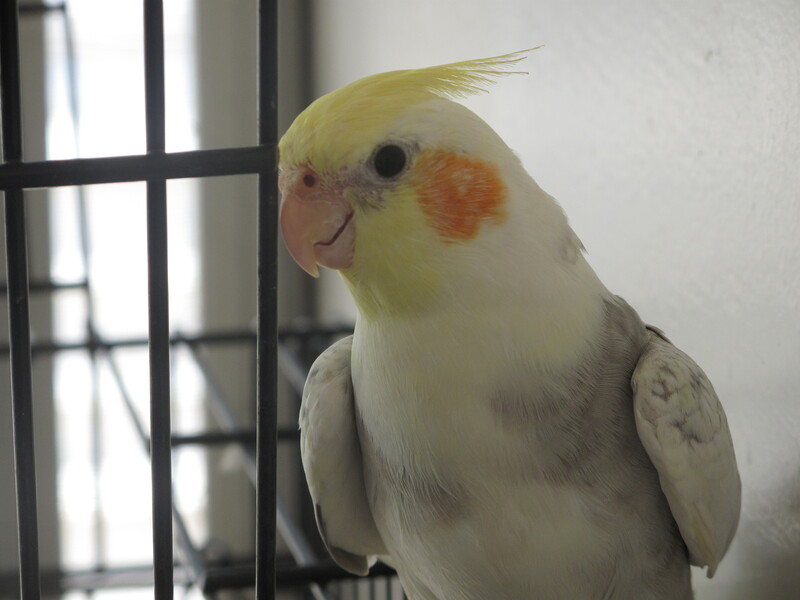 But when I steer his beak away from my face and fling him place him gently back onto my shoulder, Zoomy/Cannibal then attacks my ear. I think, because I have been preoccupied with the zoom function on my camera, one of Buttons’ new names is a partly a word association side-effect? I just cannot decide which name is the best: Buttons, Zoomy or Cannibal. So far, he is responding to all three names so perhaps I’ll just do that. After all, he is a mixture – ‘Buttons’ is his gentle self; ‘Zoomy’ is his speed-of-light self; and ‘Cannibal’ is his aggressive, face-eating self. I love this zoom thing! I can’t believe it! When I wasn’t able to get a picture of the moonflowers yesterday, I was frustrated but I didn’t panic because last January the blooming went on for a few days. In previous years they’ve only flowered on a single day. Well, it looks like this is one of those years, so I have missed out on my prize-winning photograph! Oh well. Here’s what they look like once the sun gets to them. You’ll have to wait for next January to see what they look like in all their glory. In the meantime, all you have to do is use your imagination and ‘see’ them the way they are when the moon kisses them. James Bond is a heifer! Remember that steer whose tag read 007 (a few posts ago)? Well, this particular 007 was not a steer (male); it was a heifer (female). Well, Son and I have now figured out where the zoom button is on my new camera so this morning, when I looked out the back window to see the moonflowers blooming, I felt a sense of exhilaration. 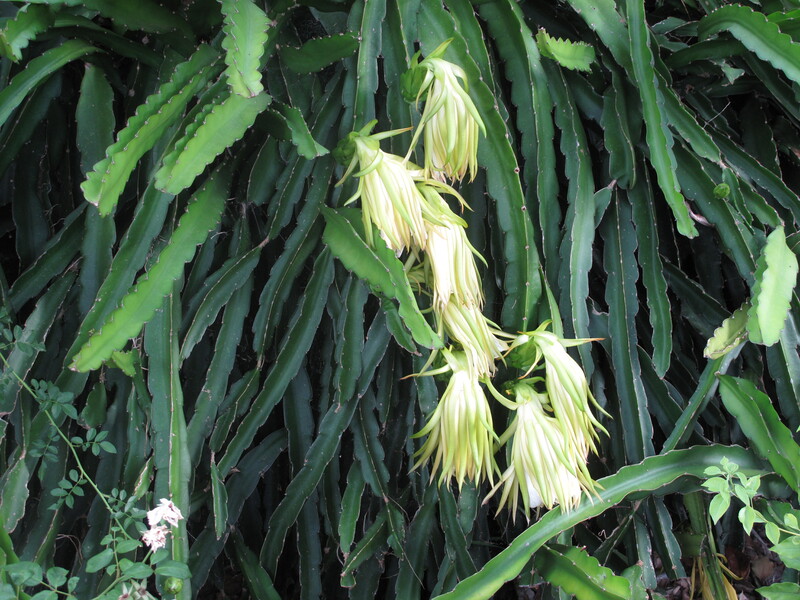 You see they only bloom once a year and they are breathtakingly beautiful and HUGE! As many of you know, I am very un-gardenish and fairly unobservant as well (Husband calls it tunnel vision), but nobody could fail to be drawn to the magic of the moonflower. Apparently, there are various kinds of moonflower but what makes them special is that they bloom at night, then, when the sun comes up, they close. 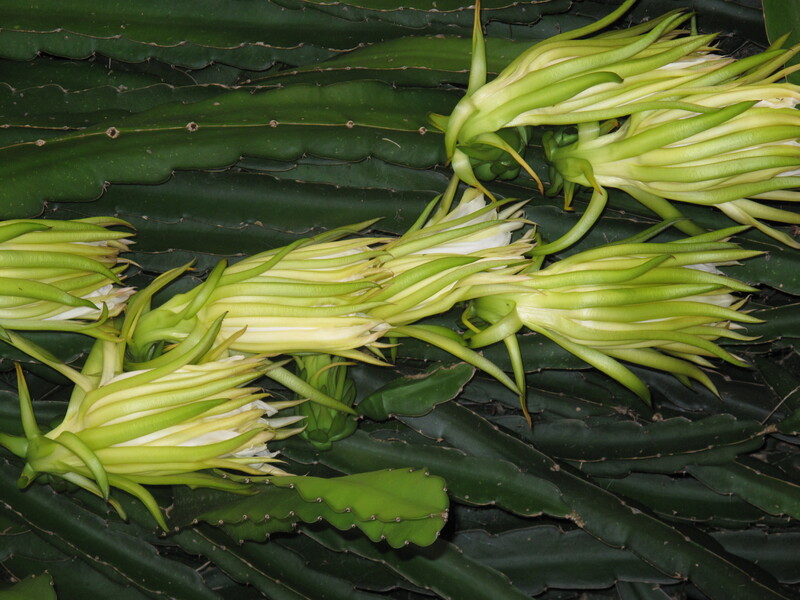 Many moons ago, Husband, before he was Husband, and before I even knew him very well (I was employed by his mother at the time – another story), grabbed my hand one morning and pulled me out the back door to see the moonflowers in full bloom, but closing their petals fast. I was absolutely enchanted for two reasons, the first being the flowers and the second being my hand in his. You see, while he was explaining about the moonflower, Husband-to-be didn’t let go of my hand. It was many moons later that our romance bloomed but that morning was, I think, the beginning. Anyway, nostalgia aside, when I saw the moonflowers this morning I knew I only had a limited time to take photos before they closed up. And I knew how to zoom – yeeha! So I grabbed my camera and raced outside and turned it on, with my finger ready on the zoom button. But nothing happened. Then I looked at the black screen to see the message: replace battery. Argh! So, while Son is attempting to recharge my camera, I am watching those moonflowers close, one by one, and now, in the heat of mid-morning, I have lost the race. Oh well, there are a lot more buds on the tree, bush or whatever it is, so tomorrow, at dawn, I will be ready with my camera, ready to zoom in on those elusive, fantastic flowers.